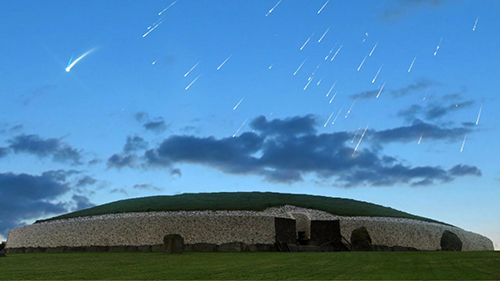 Patrick McCafferty, Irish history savant and co-author and collaborator of Mike Baillie’s, stars tonight in a Smithsonian Channel documentary concerning the mysterious history of Ireland in the 6th century AD. McCafferty with the assistance of another Tusk favorite, Dallas Abbott, decodes the available information and concludes that Halley’s comet was responsible for the island’s conversion to Christianity during this tumultuous period. I apologize for the late notice, but perhaps the show will be available for streaming for folks who miss it. An excellent trailer for the documentary can be viewed here (unusually, it does not allow embedding here in my page). Some other info can be found here and here. The show will replay this Friday, July 11 at 5:00 pm .